Independently lead packaging development and commercialization of new materials and packaging systems to deliver against mid- and long-term business objectives in Packaging Sustainability. Gain alignment across key functions and model commercialization best practices. Develops and evaluates plans and criteria for solving a variety of complex packaging material design and engineering problems; assesses feasibility and soundness of proposed material solutions; ensures products, equipment and materials are designed and developed to the highest standard; establishes design constraints; collaborates with management to define technical needs. Individual contributor who guides executives and engineers in resolving complex issues in packaging sustainability based on existing solutions and procedures; works independently with guidance only in the most complex situations. Experiment with and scope innovative packaging sustainability technologies & new routes-to-market for their value, and communicate outcomes with recommendations. Create and execute development plans for new packaging sustainability platforms that create a competitive advantage. Advanced skill level in delivering results by managing, leading and coordinating program activities while also acting as an individual contributor. The principal engineer delivers technical/ functional programs that are directed by the business needs and/or R&D functional needs activities. Advanced level and actively builds program strategy within area of expertise. Proactively identifies opportunities to develop and optimize the global program against the strategy. Advanced level and builds the short to medium-term functional initiative pipeline. Drives the global program from start to finish, collaborates with multi-disciplinary cross-functional teams to ensure successful program launch. Advanced and actively mentors associates in area of own expertise. Is responsible for the development of the core functional competencies within their own area of expertise. 8 years experience identifying and implementing technology, products, or processes to improve experiences or efficiencies. Applies depth and expertise as a validation lead to solve major, complex technical issues. Self-motivated with good interpersonal skills, must be able to simplify the complex and speak to difference audiences/levels of management. Create technical packaging sustainability strategies for achieving long term business objectives, while leading teams to design with the “end-of-life” of the packaging material in mind. Create and manage “test & learn” and development plans for new packaging technologies that create a competitive advantage in regions or markets. Advanced skill level in delivering results by managing, leading and coordinating a team to deliver program activities while also acting as an individual contributor. The Senior Manager delivers technical/ functional programs through others that are directed by the business needs and/or R&D functional needs activities. You complete complex projects quickly and adeptly with your understanding of the business priorities. You are diplomatic, professional and exercise great judgment in developing and maintaining excellent business relationships within the business. You are serious about delivering results, and takes pride in a proven track record in delivering on challenging objectives. Actively builds program strategy at an advanced level. Proactively identifies opportunities to develop and optimize the global program against the strategy. Acts with appropriate urgency to various market events and trends that require a quick turnaround in plans and strategy. Builds the short to medium-term functional initiative pipeline. Drives the global program from start to finish, collaborates with multi-disciplinary cross-functional teams to ensure successful program launch. Advanced and actively leads associates in area of own expertise. A motivated leader that can inspire others; you respect your commitments and are able to obtain optimal results from your team. Responsible for the development and execution of Packaging Materials including: providing packaging component prototypes for approval, preparation of material specifications and manuals, participation in vendor selection and review and coordination of all testing to ensure high quality final packages. Develops packaging requirements for new and existing products that run at Brown-Forman and partner bottling sites. Works with vendors to ensure commercial availability, determines structure specifications, conducts vendor audits, recommends vendor selection and initiates all appropriate testing. Attends both vendor material runs and BF plant initial product runs involving packaging materials. Develops the proper structures to meet packaging requirements for new and existing products. Works with vendors to ensure availability, develops prototypes for approval and prepares all necessary specifications. Recommends vendors and conducts vendor audits as required. Initiates testing of new packaging materials and attends production runs to confirm proper adherence to specifications and quality requirements. Serves as Project Manager or Team Manager for new products/packages as required. Serves as packaging representative and coordinates the flow of information between the project team and the Beverage Packaging Group. Attends pilot and new production start-ups and has the authority to stop or delay production, if package quality specifications are not achieved. Serves as consultant to Creative Design, Marketing and Production on packaging materials and packaging material development. Responsible for solving packaging material or production line problems and works with production facilities to recommend and implement solutions. Investigates new packaging materials and processes for quality improvements or cost savings opportunities. Prepares management presentations and assists in implementation of approved ideas. Maintains thorough and up-to-date knowledge of packaging technology and capabilities through packaging publications, packaging trade shows, vendor meetings and vendor visits. Bachelor’s Degree in Packaging from a recognized School of Packaging and 2-4 years of practical packaging materials experience. Ability to serve as project team member or leader and interact with all levels and functions within the Company. Ability to work with Production personnel in developing new packaging materials, and in formulating and implementing approaches for reducing packaging costs. Strong interpersonal skills with proven ability to effectively interact with different personalities in various fields and company backgrounds. Knowledge of package materials testing procedures and writing of specifications. Brown-Forman, founded in 1870, is a diversified producer and marketer of fine quality beverage alcohol brands. Headquartered in Louisville, KY, Brown-Forman currently employs about 4,000 people and has offices or facilities in 30 cities across the globe. Starting in the mid-1950s, the company began a series of acquisitions that would place it among the top 10 largest spirits companies in the world, selling its brands in more than 135 countries across the globe. These include many of the most well-known and best-loved wines and spirits brands, including Jack Daniel’s, Finlandia Vodka, Old Forester, Woodford Reserve, Herradura and el Jimador Tequilas, and Korbel champagnes. For more information about the company, please visit http://www.brown-forman.com. Responsible for creating structural box samples to assist Sales Representatives in sales promotions. Discuss design projects with Sales Representatives and be able to select the appropriate designs needed and draw designs. Make samples on CAD table or cut samples by hand. Record keeping and filing of specifications. Meet time schedules on projects with possible overtime involved. Make production specifications from proto-type. College education or heavy college coursework in the field of computers, CAD, and drafting, or applicable work experience. Good communicator with customers and sales staff. 3-5 years work experience in packaging or a related field. Knowledge of Artios CAD, Kongsberg table, or similar tools. Experience with Windows and Microsoft Office programs. Minimum one semester graphics art, drawing, or color concepts in either high school or college, or comparable work experience. Equipment design and capabilities that can be translated into efficient operation. May be required to maintain a current Lift Truck Operator License. The work environment characteristics described here are representative of those an employee encounters while performing the functions of this job. While performing the duties of this job, the employee is regularly exposed to moving mechanical parts. The employee is frequently exposed to wet and/or humid conditions. The employee is occasionally exposed to high, precarious places; fumes or airborne particles; and vibration. The noise level in the work environment is usually loud. Lift and move corrugated sheets as necessary. Lift and move cutting and printing dies as necessary. Operating standards - the employee will need to meet or exceed the Operating Standards in the areas of quality, cost, safety, customer satisfaction and productivity. Such standards will be set annually and communicated to the employee. Employee relations - through observations the employee will be evaluated regarding his/her behaviors associated with appropriate human interaction, respect and communication. This position is an active participant of the management team working with the Plant Manager, Sales Manager and General Manager to continuously improve operations and financial performance. Each Pratt plant is a stand-alone facility with its own P&L and Balance Sheet. Previous manufacturing accounting experience is required. Primary responsibilities include month end close, accounts receivable, accounts payable, inventory valuation and control, internal control, forecasting, annual budgeting and payroll. Equal Opportunity Employer/Minorities/Females/Disabled/Veteran. 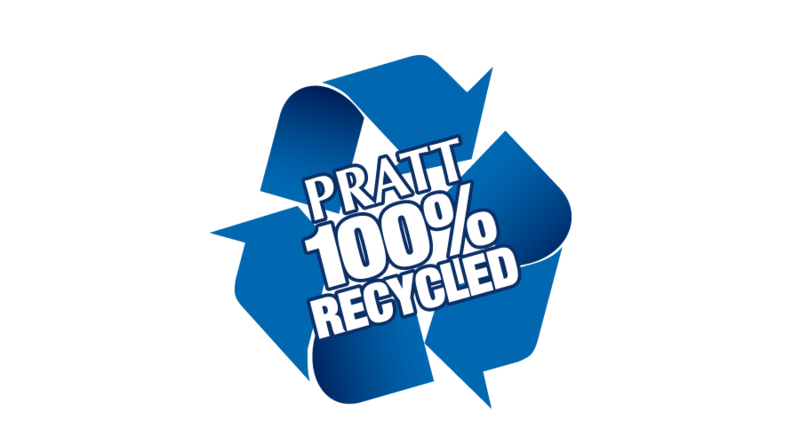 ABOUT PRATT: Pratt is America’s 5th Largest Corrugated Packaging Company and the world’s largest, privately-held 100% recycled paper and packaging company, with more than 7000 highly-skilled, green-collar employees dedicated to the environment and sustainability. Pratt was founded in the USA some 20 years ago and, since then, has shown dramatic growth with sophisticated manufacturing facilities in more than 27 states. See much more at www.prattindustries.com. If you are looking for a rewarding challenge with loads of opportunity for career growth – here we are! Fun fact: from 2011 through 2018, the corrugated box industry as a whole grew 8.9%. During that same time period Pratt grew 68.8%, accounting for an amazing 35% of the entire industry’s growth! To apply: go to www.prattindustries.com and click careers or email bmiller@prattindustries.com. Summary: The Junior Sales Engineer/Inside Sales coordinates the sales and manufacturing efforts to support customers through various cycles of account management focused on existing and new accounts. Must be able to move and/or lift up to 50 pounds occasionally. Frequently standing, walking and sitting. Frequently required the use of hands to finger, feel, reach or handle machinery. Exposure to variable noise levels. Often exposed to moving mechanical parts. Quality and Safety is EVERYONE’S responsibility! You must report or correct any food safety or potential food safety hazard to the person who can correct it. Adherence to policies and procedures related to quality management, safety, SQF and other regulatory guidelines communicated during your new hire orientation and defined in your Scholle IPN handbook are mandatory. Interact is a strategic branding and packaging design agency obsessed with the food and beverage industry. Don’t believe us, check out our ‘gram. We’re a tight knit, rowdy group who work in an open workspace with loud music and 2-6 dogs roaming around at any given time. As a small, fast-paced agency that runs on hustle and passion, we seek hardworking, selfless folks who can focus and thrive in a creative environment. We are seeking a design intern to join our crew for the Fall. We expect you to be native in Adobe Creative Suite and have a passion for branding and packaging design. You are familiar working with dielines, you can communicate your design process and know how to concept. In addition, you take natural pride in the details and thrive on being a team player. You’ve got serious design skills (let that portfolio do the talking!) and are curious, organized, and outgoing. Sound like you? UPM Raflatac is labeling a smarter future by developing innovative and sustainable labeling solutions complemented with world-class service. As one of the world’s leading producers of self-adhesive label materials, we supply high-quality paper and film label stock for consumer product and industrial labeling through a global network of factories, distribution terminals and sales offices. We employ around 3,000 people and made sales of EUR 1.5 billion (USD 1.9 billion) in 2017. UPM Raflatac is part of UPM – The Biofore Company. Find out more at www.upmraflatac.com. UPM Raflatac is looking for Manager, Marketing Communications to join UPM Stakeholder Relations global team. You will be acting as a proactive partner to UPM Raflatac Americas region and businesses to deliver uniform industry leading marketing communications, aligned with the company strategy, brand and values, primarily in the Americas region but also participating in global concept creation. Work in close collaboration with the regional SBUs and Sales to proactively plan, coordinate and implement marketing communications activities aligned with the business objectives and agreed marketing plans and budget. Work in close collaboration with the global Marketing Communications and Stakeholder Relations team to create initiatives that support the UPM Raflatac growth strategy. Adapt global concepts when feasible and ensure UPM Raflatac brand consistency and visual identity globally. Manage regional multi-channel marketing communications projects. Participate in global marketing communication development and have a proactive role in developing new multi-channel marketing communication concepts. Manage regional vendor network (external suppliers). You have 5+ years of experience in marketing, brand management or digital marketing and proven track record of successful brand and marketing communications. You have minimum Bachelor’s Degree in Marketing, Business Administration, Communications or related field. You have experience in creating multi-channel marketing communications. You are able to adapt brand guidelines and to create engaging brand content. You are experienced in online content marketing and experience in inbound marketing and social media development strategies is a benefit. You have excellent collaboration and influencing skills and the ability for independent decision-making. You have excellent self-leadership skills, are able to work in a complex global, multicultural cross business environment and able to communicate with senior management about marketing initiatives and project metrics, as well as to brainstorm fresh strategies. You are willing and able to travel. Ability to communicate in Spanish is a benefit. Newell Brands is a global marketer of consumer and professional products that touch the lives of people where they live, learn and work. We are committed to building brands that matter in the lives of the users of our products. We are also committed to leveraging the scale of our company to bring the power of a multi-billion dollar business to bear on each of the business segments through shared expertise, operating efficiencies, and a culture of innovation. Our global sales are approximately $15 billion and we have a strong portfolio of globally recognized brands including Sharpie, Paper Mate, DYMO, EXPO, Waterman, Parker, IRWIN, LENOX, Rubbermaid, Graco, Calphalon, Goody, Levolor, Kirsch and Teutonia. We are headquartered in Hoboken, NJ. iGKM approved projects including temporary displays, rolling changes for case quantities & language updates and promotional packs. Liaising with Third Party Suppliers to ensure proper flow of communication and deliverables for execution including: Rendering development, Delivery of creative assets & product dimensions, product samples, etc. Understand project timelines from supply chain and third party supplier. Previous blow molding experience a plus! Successful growing company seeks a strong Plant Manager with experience in automotive rack manufacturing with weld, fabricating and engineering experience possessing a solid safety background. This position is responsible for coordinating and managing all daily plant activities including scheduling, receiving & inventory management, production, control process, and on time delivery of product in a manner consistent with company service and cost objectives. The successful Plant Manager will be on the warehouse floor 75% of the time, insuring efficiencies and production objectives are met at the lowest cost consistent with quality requirements. This position focuses on leading staff to reinforce that Essex Weld USA stands for the absolute best quality automotive racks and containers, at the best price, provided in the most efficient manner FOR THE CUSTOMER.